I’ve been super busy lately, and sick last week, so no paintings ready for posting yet. However, meet Clive; for now he lives in my sketchbook. Watercolor & ink in a small square sketchbook. 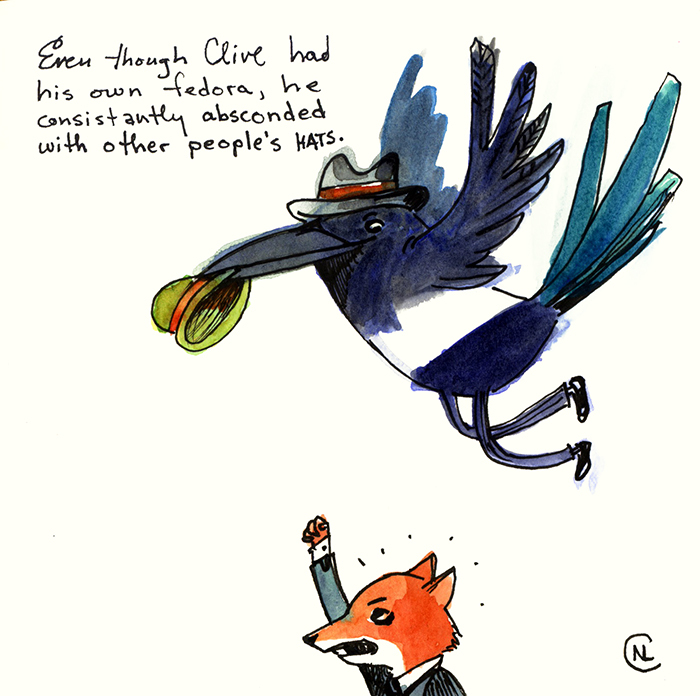 Despite his penchant for pilfering, Clive certainly has good tastes in hats. PS. Is it not *consist_e_ntly*? Sorry to be a nitpicker. Lisa, I have enjoyed all of your praise! I am basking in it, and needed a lift today. Thank you for lifting me. You are a bright glow on this Friday.